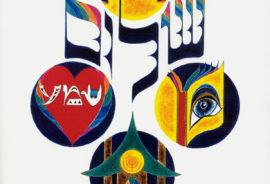 Is your old, plain ketubah sitting in a drawer somewhere? Back in the day, the bride and groom typically would sign a very plain ketubah – their wedding contract. I am now able to rejuvenate your precious document as per the sample image. 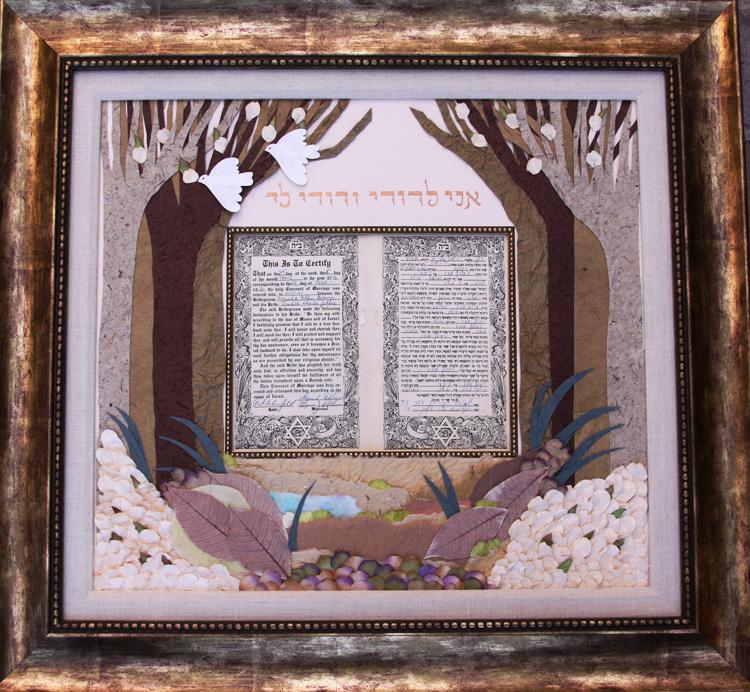 I will create a beautiful mixed media collage which will surround your original ketubah. 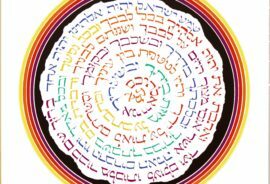 The mingling of the old and the new will breathe new life into your ketubah. You’ll be proud to hang this in your home! Don’t know what to get your parents for their 50th wedding anniversary? This is the perfect gift! This comes beautifully framed and matted. Please call me (305 490 7003) or write to me: [email protected]. Because this is a very personalized piece, I do need to consult with you about colors, framing options and the size of your ketubah. 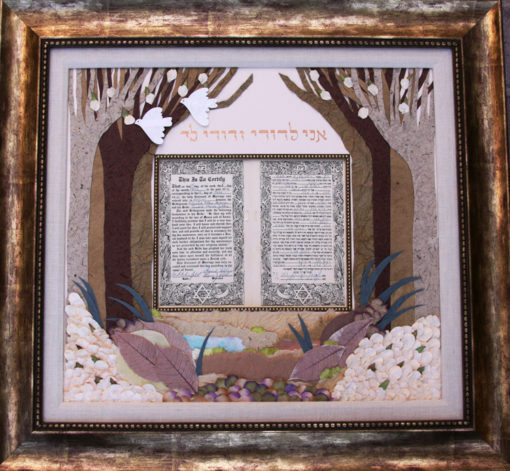 The pictured ketubah measures 26″ x 23″ in the frame. Great post. its a need of today’s generation, but i think it need more information about this topic, really not a bad but i wish it looks more complete..